Answer: EliteUI is an enhancement project for the auto-updating versions of DrumsUI and ProfitUI. I've been putting EliteUI together since around LU11. This release adds on to most complete UI packages. Install a Base UI first and then add on this package after. For UI screen shots see my Authors Portal. We are entering the final stages of our beta. This next version will support both DrumsUI and ProfitUI with lots of nifty toys. Our goal is to have it out by the end of August. The latest game update broke the knowledge book and causes a game crash on character load. Deleting/renaming eq2ui_mainhud_knowledge.xml solves the problem but of course also puts one back to using the default knowledge book UI. It looks like Drum is working on a fix for his knowledge book and I imagine that when he has that fixed, the same fix will work for EliteUI. Been waiting for this to be updated. Thank you very much for this awesome UI! This UI is AMAZING!! I LOVE hotbar #10!! Absolutely genius! I am compiling a new release and hope to have it avail later today. It'll include a new tracking window and several updates to the compilation. Stay tuned. i tried to install Kosmo's tracking window but it wont work. anyone successfully install a tracking window into eliteui? original is way too big. 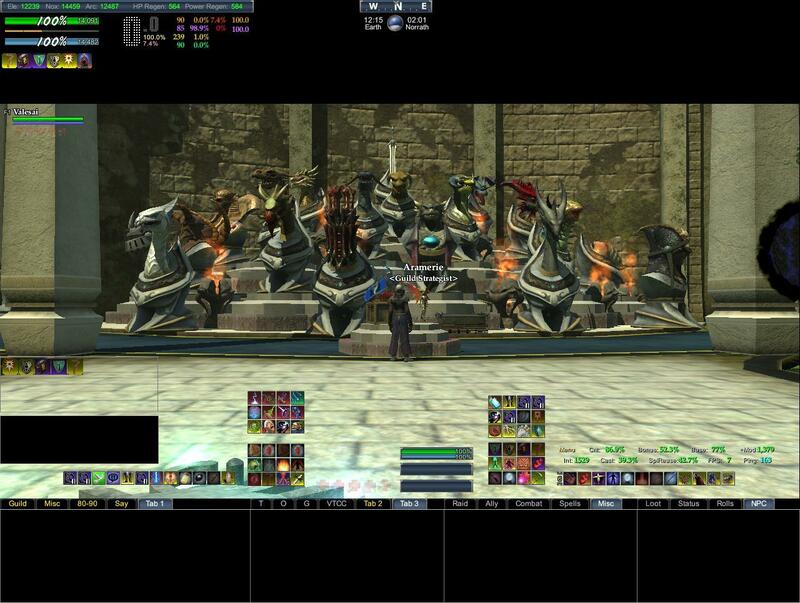 Is it possible to have different cure set ups in the eq2ui_mainhud_groupmembers.xml? I want to be able to cure arcane in this window on my wizard and have it fully functional for my warden. The included macro interface set up thing is cool, just confusing in terms of cures. just a question. I found eq2ui_commonelements.xml in the eliteui directory and since a bit has changed there what was the changes to this file for your release. anyone have there icons in the spell and dertemantal effects windows missing? both of mine don't show anything. Modifying it to work with the auto-updating version of ProfitUI. I notice the screen shot of the rush order buttons...is that something functional to where you click it and it makes the rush order stuff allot easier? Or is it just for show to give you a list of the possible orders and what they require to make?? No it is fully functional and configurable and cuts rushorder time down.